DC Golfers - Did you know that Height of the golfer has no bearing on the Clubhead Speed? The height of an individual does not matter a great deal when it comes to generating clubhead speed. The core must be strong to transfer the power from the legs and hips to the upper extremities. Low back pain is one of the most common injuries suffered by golfers. Core control and strength can reduce the frequency of these injuries. Most major golf courses are much “longer” now that golfers are hitting longer and further due to conditioning and equipment improvements. Seek the advice of a Physical Therapist for specifics of a conditioning program to prepare you for the upcoming golf season. Start improving your golf game early. When you step out on the course this year, you can be in shape to generate more force in your swings, reduce the likelihood of injuries, and have an overall better season. This is not about a secret technique, a magic pill, or some kind of mental conditioning. This is simply about developing a fitness program that will prepare your whole body for gameplay this year. As we said last week, the golf swing is a correlated pattern of segmental movements throughout the entire body. To perform it correctly and get positive results, the golfer must be in good shape. The golfer’s body must be strong, flexible and have enough muscular and cardiovascular endurance to sustain practice and playing a round of golf. How do you generate a forceful swing that produces greater clubhead speed? When the ball is struck, the speed of the club head upon impact determines the final distance that the ball will travel. Obviously, the greater the speed the further the distance. The key to generating clubhead speed is muscular strength and more pointedly hip and core strength. “Offseason” training should focus on developing strength throughout the musculoskeletal system with heavy emphasis on the hip and knee extension musculature. There are studies that correlate hip and knee extension strength to club head speed. Core strength is critical to provide adequate stabilization of the pelvis and upper extremities. Studies indicate that the best form of strength training is in the form of multi-joint training. There is a larger adaptation across a larger cross-section of muscle fibers when the multiple joints are strength trained at the same time. Functionally, we move many joints simultaneously and don’t think about it. A golf swing incorporates nearly every joint of the body and to avoid an injury and enhance the quality of the swing all joints need to be addressed during the workout routine. There is no substitute to “good old fashioned” strength training when it comes to developing more muscle power to generate greater clubhead speed. The musculature needs to be “overloaded” with resistance to be stimulated and experience a size and strength change. This type of strength training program incorporates heavier weights and lower repetitions. The muscle cell damage that occurs with resistance training is referred to as DOMS or Delayed Onset Muscle Soreness. The lower extremity muscles do not experience the damage as quickly as the upper extremities, therefore, the training program for the lower extremities must be performed for a longer period of time. The following are specific exercise suggestions. 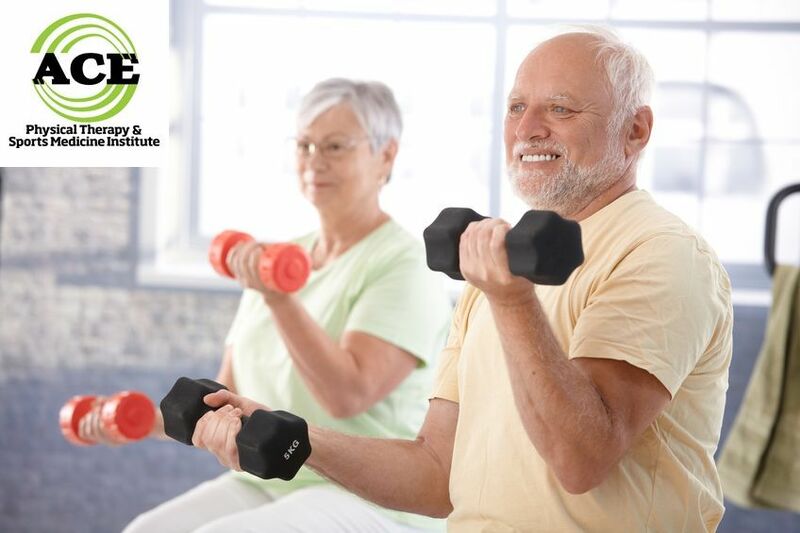 Seek the advice of a Physical Therapist or certified personal trainer if you are unclear of what exercises to perform or how to perform them with proper form. Fitness for improving your golf game must also include cardiovascular training. There are studies that link good cardiovascular fitness to an improved short game and putting. The ability to walk around the course without experiencing excessive fatigue can help with concentration and mental fatigue. If the cardiovascular system is efficient all of the other systems work more efficiently, also. While most “golfers” enjoy the leisurely aspect of the game, they should still consider a well-rounded fitness program. A lack of preparation can lead to an injury and sub-par performance. Performing a proper training program that addresses strength, flexibility, muscular and cardiovascular endurance can help to improve your score and prevent an injury. This article has been contributed by ACE Physical Therapy & Sports Medicine Institute, with multiple locations in Northern VA in Arlington / Clarendon, Alexandria, Falls Church / Merrifield, Fairfax / Fair Oaks, Reston / Herndon, Great Falls, Leesburg / Lansdowne.